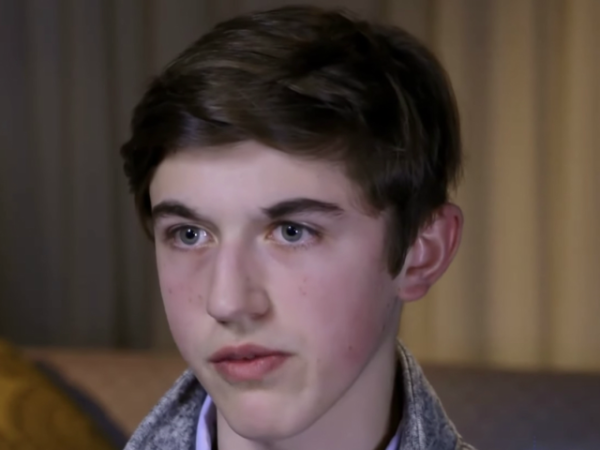 In a major warning to purveyors of fake news, Covington Catholic High School student Nicholas Sandmann and his family have hired a high-powered attorney who specializes in suing the media for libel and slander. The Sandmann family have hired RunSwitch PR, Kentucky’s largest public relations firm, to help them deal with media appearances, but the family has also now hired aggressive Georgia attorney, L. Lin Wood, WCPO-TV reported. You have to talk to people in a language that they understand. Catholic catholic catholic catholic catholic catholic catholic. Yup it make me feel better to repeat Catholic catholic catholic .over and over and over again..
“turned the drum into a hat” 13, that was funny. I showed this clip to my 16 year old son and said this an example of “a well brought up boy”. In fact, the young man’s stoicism is at levels only seen in much older men.